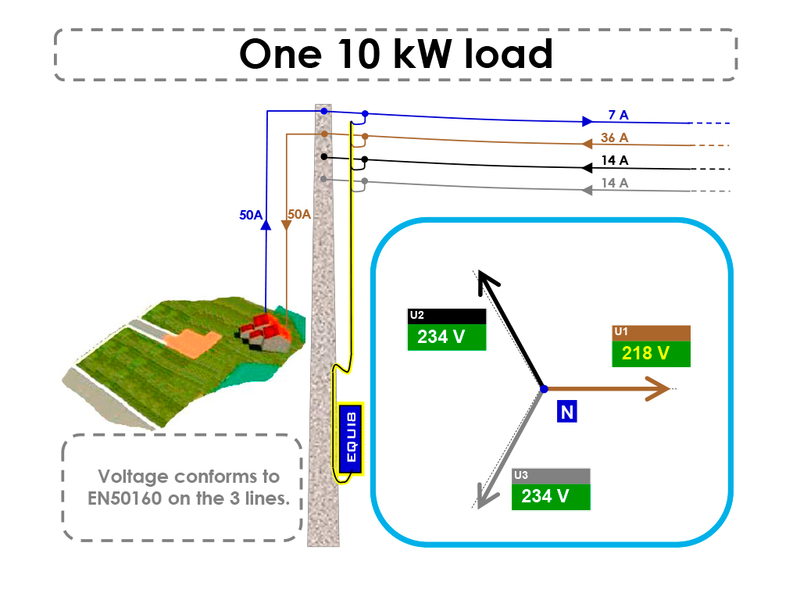 Single phase loads or power injection cause large voltage variations on networks with long lines. 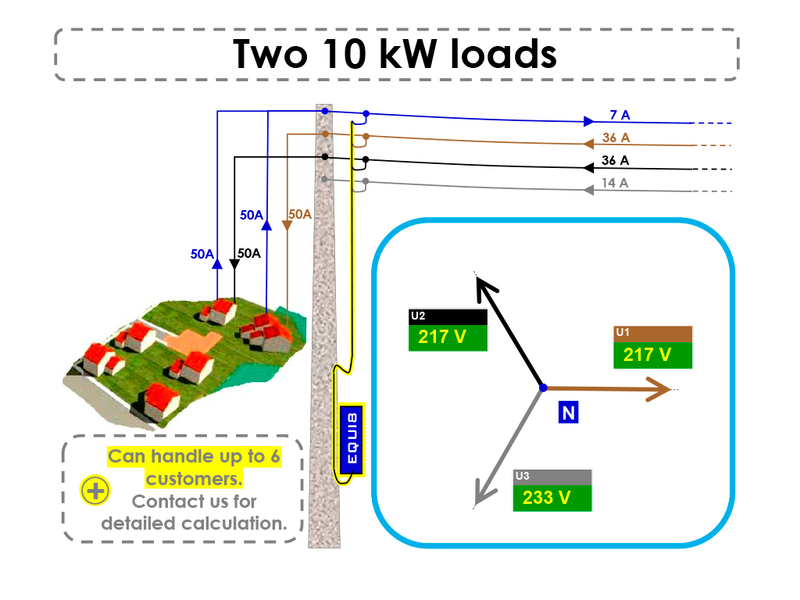 This affects voltage quality to an extent ranging from customer complaints to equipment damage. For distributed production, over voltage may force inverters disconnection and result in loss of production with associated contract issues. EQUI8 is designed to be connected in parallel with the 3-phase 4-wire LV network at the end of the line where voltage variations are their greatest. It creates a low impedance zero sequence path and diverts most of neutral current. This results in a much better phase balance in the upstream lines. 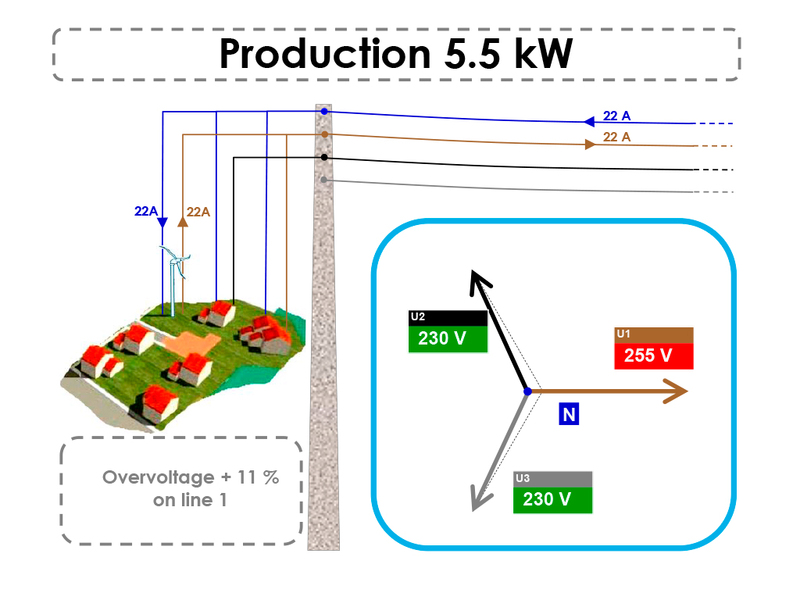 Typical application : above 300 meter long LV lines (Zphase + Zneutral > 0.3 Ohms), supplying at their end consumers with up to 50 kW (consumption) and up to -50 kW (injection) contract power. 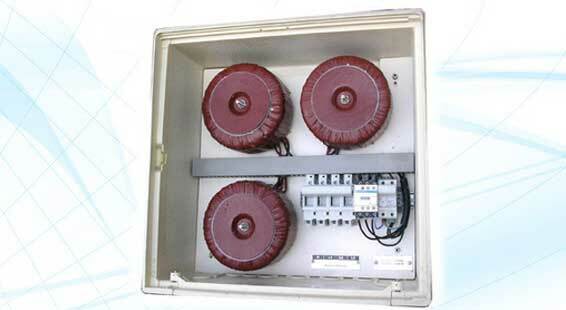 Rugged design: : zigzag transformers in a standard polymer enclosure with no sensitive electronic. Withstands harsh climate conditions ensuring long life expectation. Installation : quick and easy for 2 operators without cranes or special tools. Parallel connection : ensures continuity of supply / no change to existing customer connections. Cost effective : avoids LV grid reinforcement, saves time and reduces line losses (by reducing max. current). use our online calculator below. 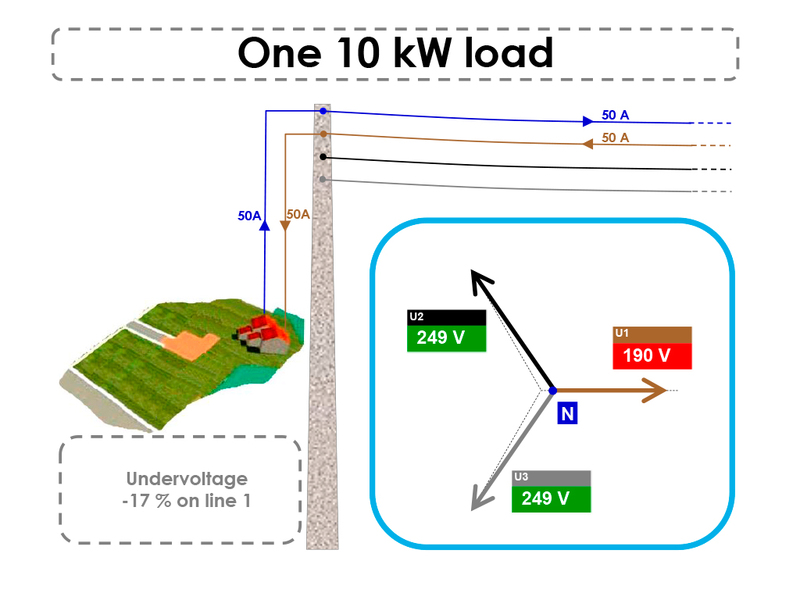 This tool calculates the 3 phase to neutral voltages after installation of EQUI8 at a specific location of the network based on the worst case initial measurements of the 3 phase to neutral Voltages . your network data to check the compliance of EQUI8 with your individual needs.